This is the square rig sails of a brigantine I saw a few days ago – those who know me will understand why I had to take some pictures! 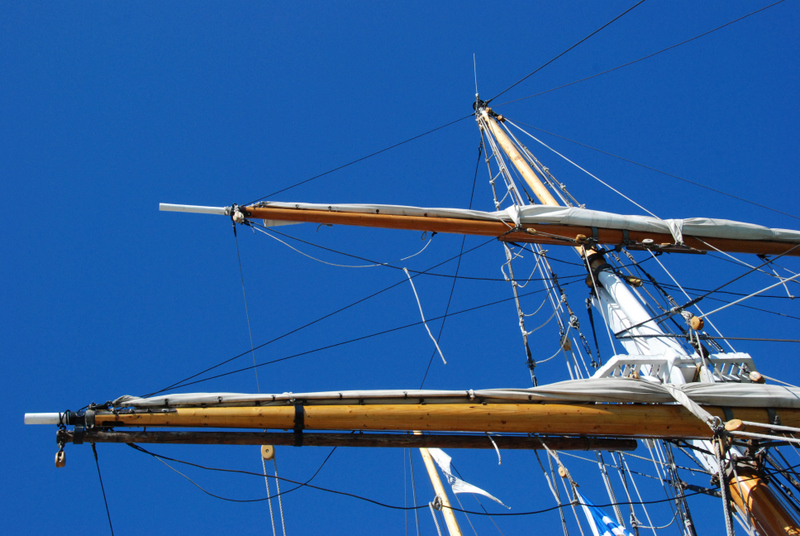 A brigantine has two masts with square rigged sails on the foremast and fore-and-aft rigged sails on the mizzen mast. The brigantine is sometimes confused with the “brig” but they are different because as well as a fore-and-aft sail on the mizzen a brig will also have at least one square rigged sail on that mast too. 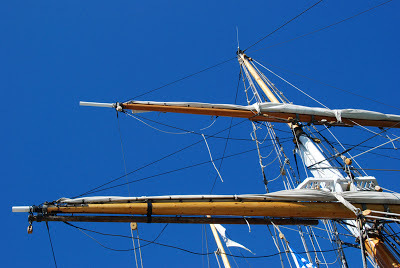 Brigantines were once popular with pirates - but this one has a more peaceful purpose - it is the training ship S.T.V. Pathfinder. I have never sailed a ship with a square rig—although my forefathers used to earn their living on them—one of these days I will sign up as crew and learn how. Expect pictures of course!